Finally, after months of speculation about Kate Middleton’s wedding dress, the world caught sight of the most talked about bride since Princess Diana married Prince Charles. 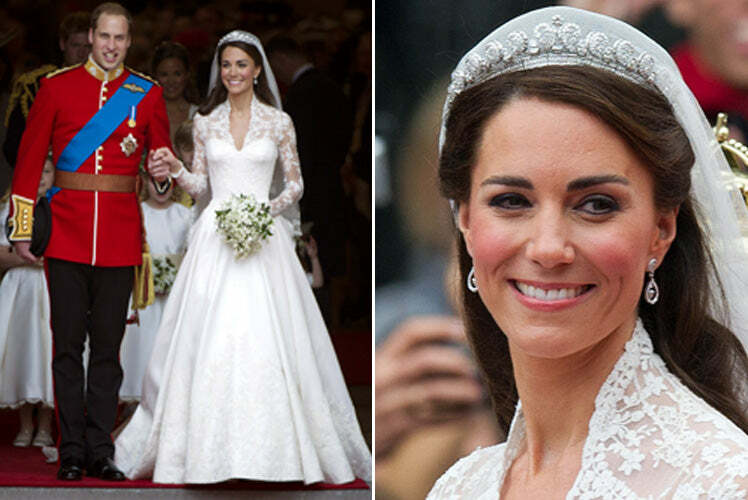 Kate’s wedding dress was designed by the very talented Sarah Burton, creative director at Alexander McQueen. The utterly fabulous Alexander McQueen label was always a hot favourite and, according to a press release issued by St James’ Palace, Kate chose the British fashion brand for the “beauty of its craftsmanship and its respect for traditional workmanship and the technical construction of clothing”. Classic and understated, the gown featured an ivory satin bodice with cinched waist and padding on the hips, a hallmark of McQueen designs. 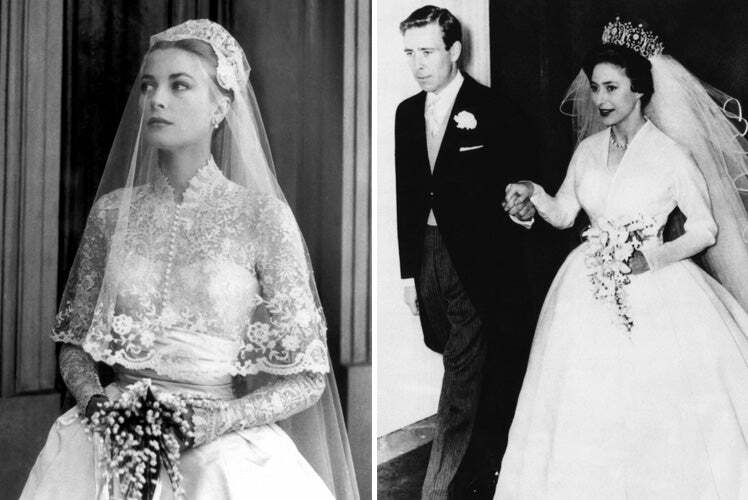 With embroidered lace sleeves, a slim plunging v neckline and full skirt, Kate chose a style very similar to the wedding gowns of the iconic Grace Kelly (below left) and Princess Margaret (below right). In a further nod towards the timeless style of Grace Kelly, Kate also chose a delicate silk tulle veil with embroidered trim. Keeping her wedding jewellery and accessories to a minimum, Kate wore a Cartier ‘halo’ tiara, which was leant to her by The Queen, and a pair of diamond drop earrings by Robinson Pelham. The tiara originally belonged to The Queen Mother and was given to The Queen on her 18th birthday, while Kate’s bridal earrings were a gift from her parents. It was clear that Kate’s choice of wedding gown and accessories signified her style to perfection. Simple, captivating and effortlessly beautiful, it’s safe to say Her Royal Highness the Duchess of Cambridge will evolve into a modern day Grace Kelly and a style icon in her own right.